Friday, March 18 through Tuesday, April 12, 2011—Las Vegas, Nevada (Part 2): Most folks think of Las Vegas as mainly the strip, which encompasses just a very small area and unfortunately many never venture away from it. 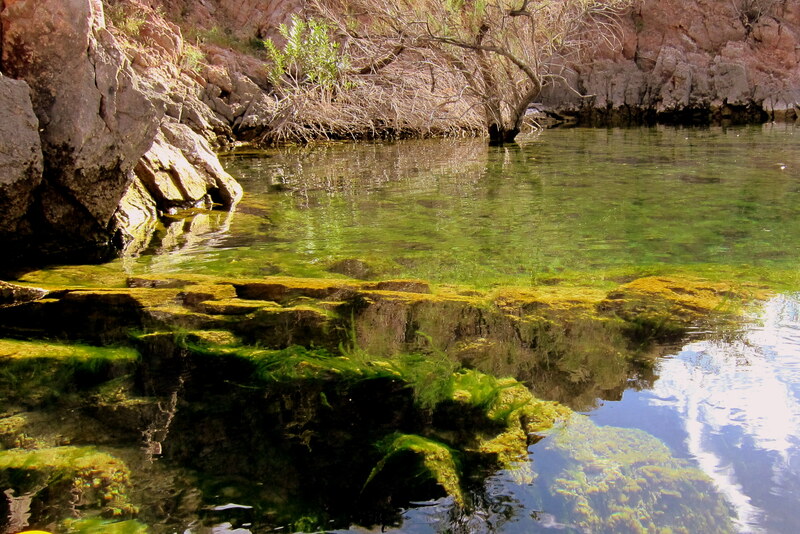 However there are many sights in and around Las Vegas that warrant visiting. In the past we have enjoyed Red Rock Canyon National Conservation Area which boasts some excellent hiking trails through sandstone slot canyons. In addition, with a vertical rise of 3,000 feet it has become a nationally famous sport climbing destination. 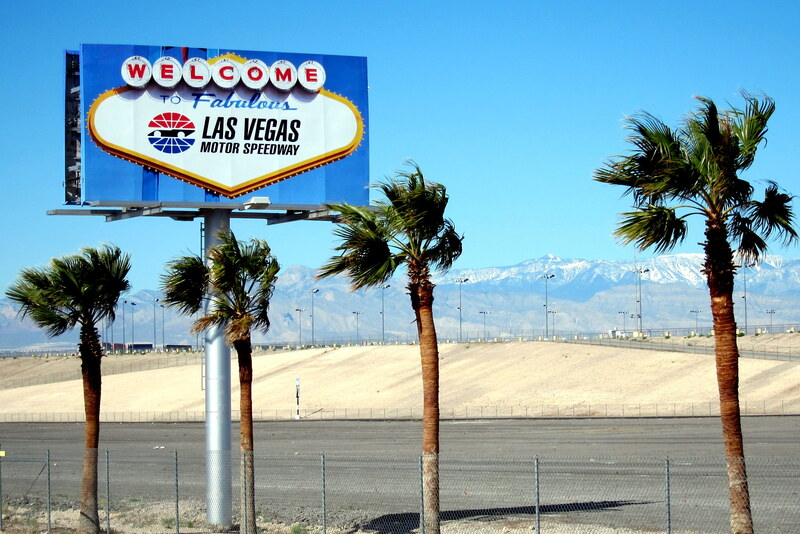 North of the strip, near Nellis Air Force Base, resides a large racetrack facility that features both NASCAR and NHRA Championship racing. Since it was an off week, racing wise, we were able to drive around the facility. Also, there is Hoover Dam. This massive Hydroelectric Project was constructed during the 1930’s to hold back the Colorado River in order to generate electricity for all those Las Vegas Lights. Actually it was a very important flood control, power generation and municipal water project. 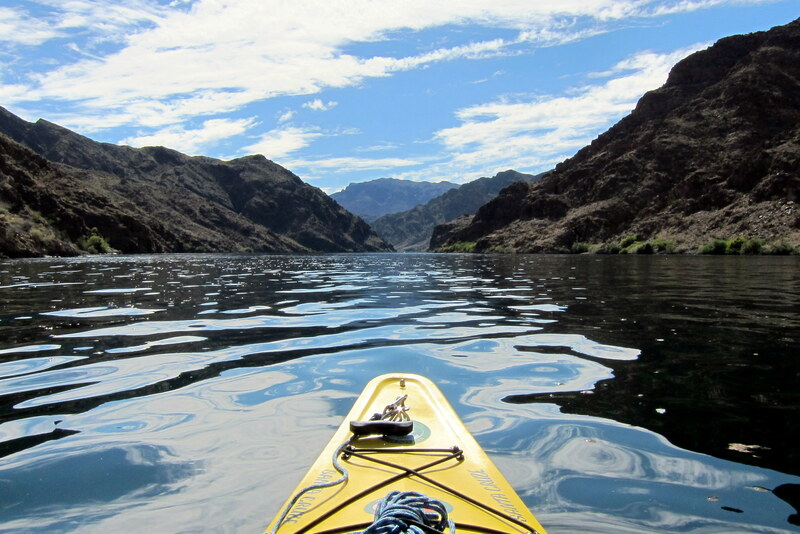 As a side benefit, it created Lake Mead which is used for recreational purposes. 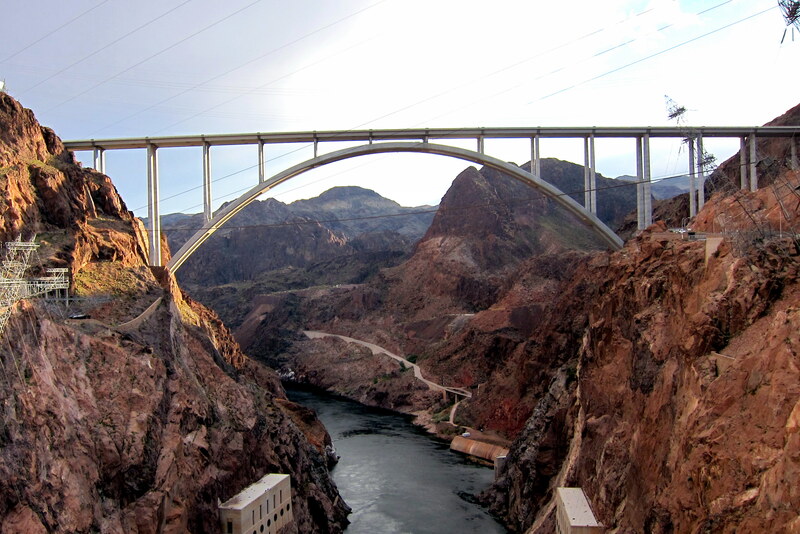 Hoover Dam was originally called Boulder Dam, even though it is located in Black Rock Canyon (long story). There was a lot of political infighting surrounding what to call the dam dam (pun intended). 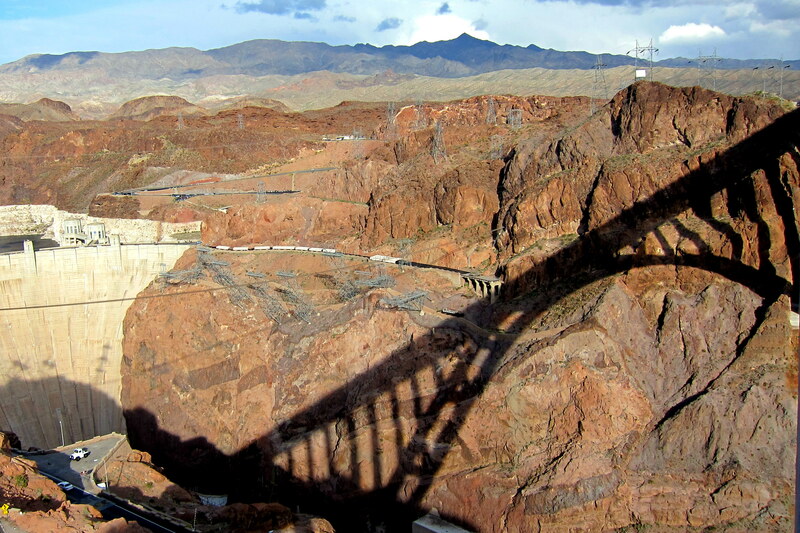 So much so that the citizens of Boulder City, a few miles away, recommended it be called “Hoogivza Dam”…..true story! Before September 11th you could drive freely over the dam on your way to and from Arizona. However after the attack on America the traffic was restricted and the dam road (pun intended) became a traffic nightmare. So, they built a bridge a few hundred yards down river from the dam to shunt the traveling motorist around the dam road. Since this new bridge crosses the Arizona-Nevada border both states deserved naming rights. The bridge’s official name is the “Mike O’Callaghan-Pat Tillman Memorial Bridge”. Arizona chose the name, Pat Tillman. 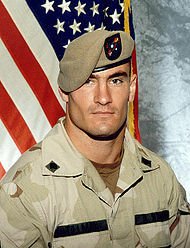 As you may remember, Pat Tillman was the University of Arizona football star who was drafted by the NFL Arizona Cardinals. Shortly after September 11th, he turned down his 3.6 million pro football salary and enlisted in the US Army…..because he thought that was the right thing to do. Unfortunately Corporal Tillman was killed while serving in Afghanistan. Following an attempted cover-up by the Army, it was learned that he died as a result of friendly fire. 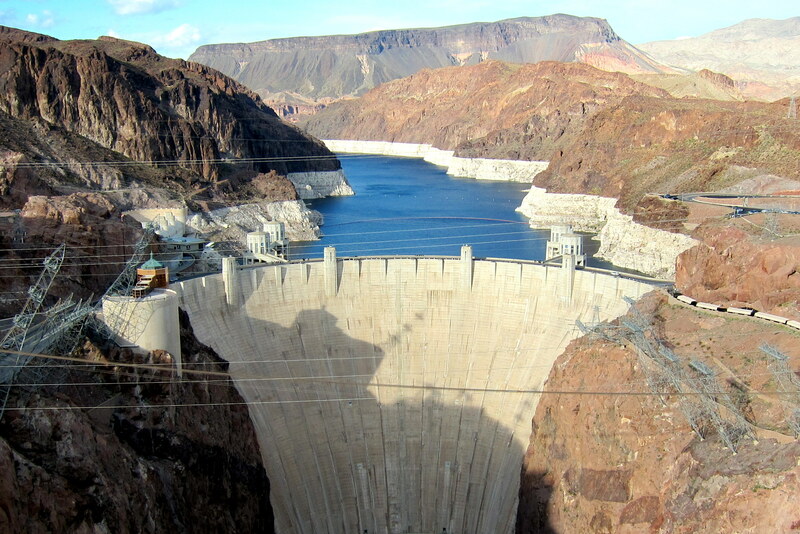 For their part, Nevada chose the name Mike O’Callaghan…..who was just some dam politician (pun intended). The “Dam Bridge” as it is locally known is pretty incredible. It is the longest concrete arch bridge in the hemisphere and at 840 feet above the river is the 2nd tallest in the US. The civil engineers included a pedestrian walkway which parrallels the highway and gives some incredible views of both the Hoover Dam as well as the Colorado River. The photo above was a lucky shot as the sun was in a great position to cast a shadow of the bridge on the far canyon wall. 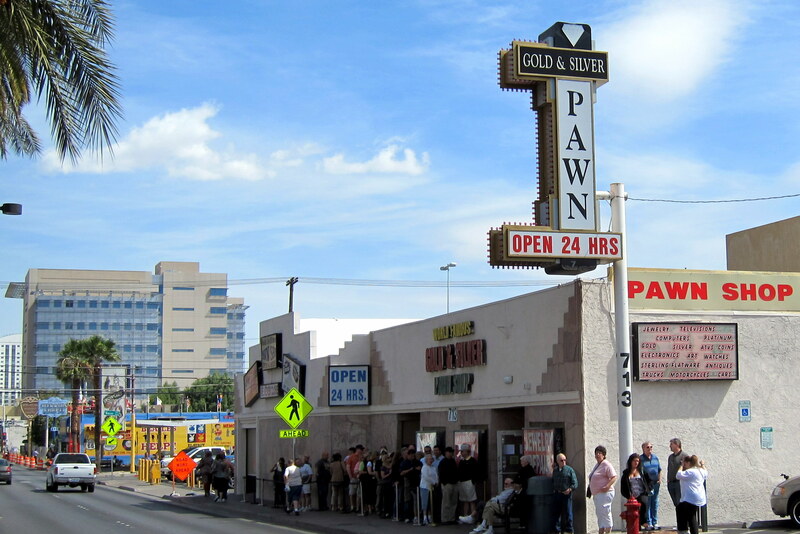 Back toward town, there is the self-proclaimed “World Famous Gold and Silver Pawn Shop”. 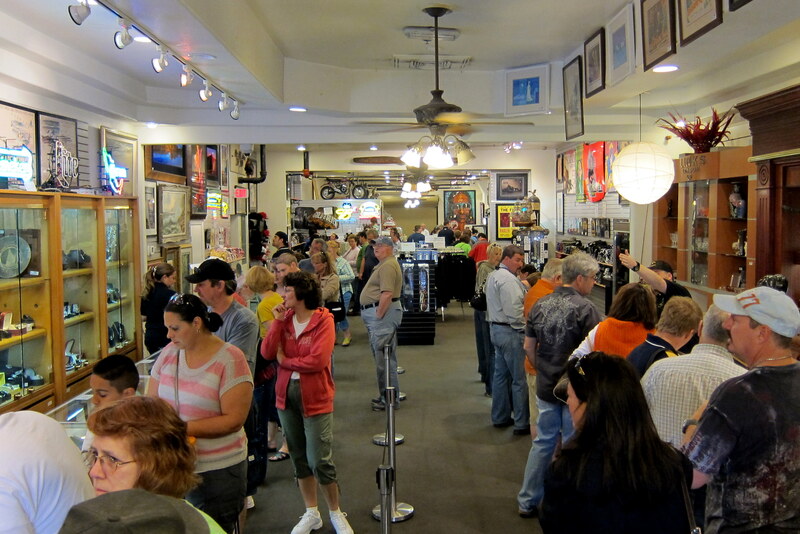 This is the joint that is featured in The History Channels reality show, “Pawn Stars”. As you can see there is a line to get into the shop. It has become quite the tourist attraction, but it is still an operating pawn shop so through traffic has to be controlled. Inside it was pretty unique. Some of the stuff the fellows took in during various episodes of the show is still there and being offered for sale. 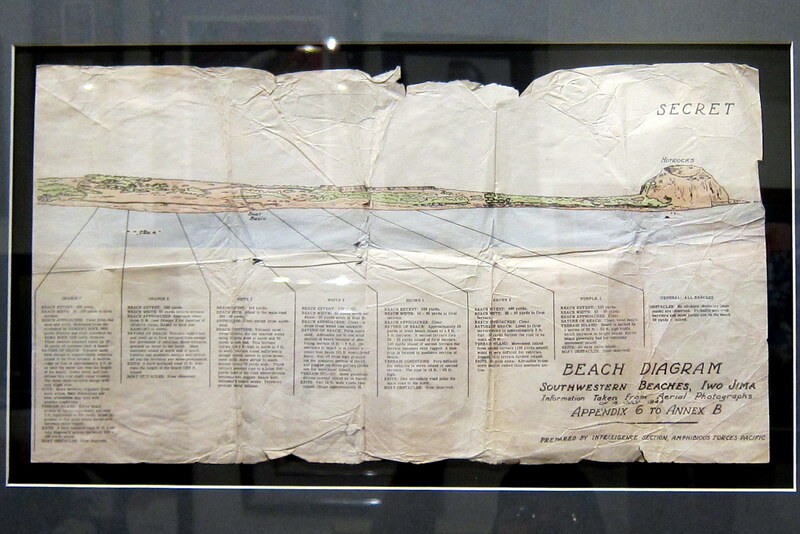 Including this very rare original plan for the US invasion of Iwo Jima which was listed as priceless and is not for sale. In addition there were a few Super Bowl rings, Survivor TV show torches, unusual objects of art and lots of jewelry. Part of the shop has been turned into a souvenir stand which does a very brisk business. 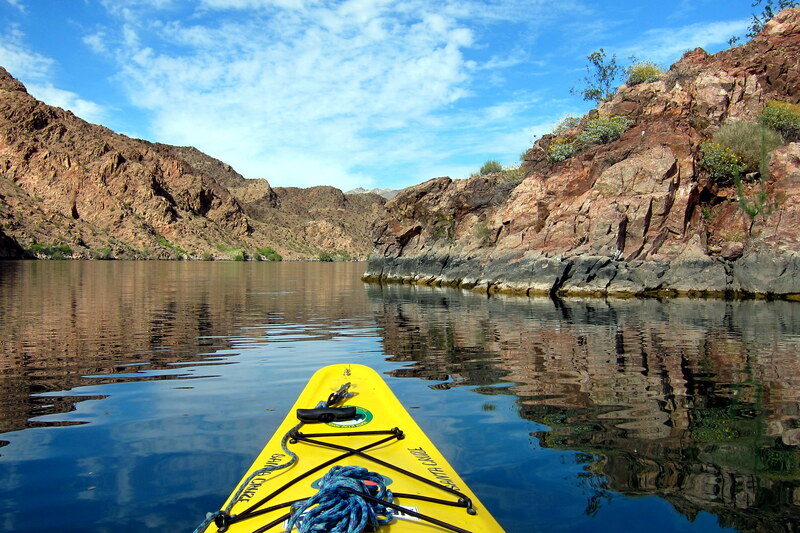 The Colorado River provides excellent paddling and fishing opportunities. One day, Kit and I visited Boulder City and toured the old historic downtown area where we had a great lunch. That afternoon we drove downriver to Willow Beach so I could get some river paddling in. Kit patiently sat in the shade and read from her Kindle while I put in and paddled down river. The current was gentle and the river was like glass. Near the shoreline I noticed the water was crystal clear and displayed the most incredible emerald green color I have ever seen. This brilliant color just doesn’t exist in nature, but here it is. 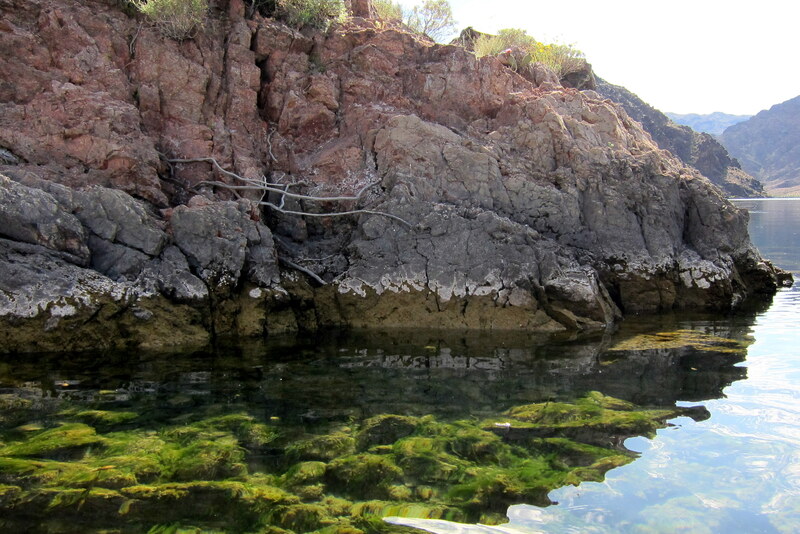 The water is so clear that abundant growth develops on the rocks which are at least four feet underwater. It felt like I was sitting on a plate of clear glass! 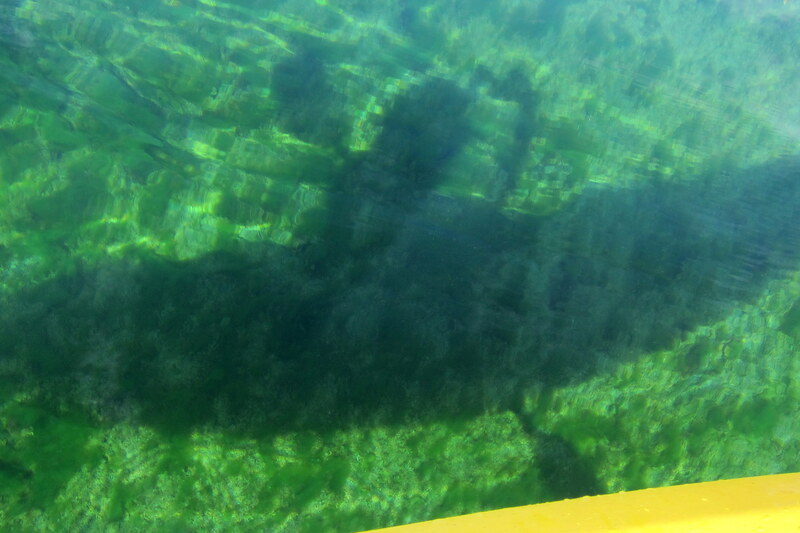 The crystal clear water allowed me to capture a photo of my kayak’s shadow on the bottom of the river. I haven’t paddled water this clear since leaving Maine. 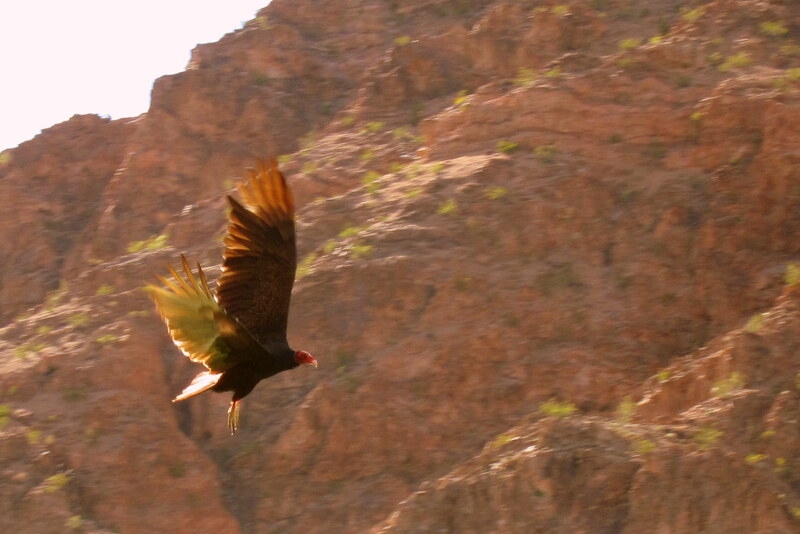 The photos do not accurately portray how remarkable the color is…..it was truly magical. It suddenly dove for my position close to shore and at the last minute set its flaps for landing. Scared the bejeezes out of me…..then I realized the old bird was swooping in to feed on the carcass of some hapless fish. A great afternoon of paddling on an historic old river. And Kit was able to enjoy some peace and quiet as well……you’re welcome dear. We celebrated our birthdays while in Las Vegas. 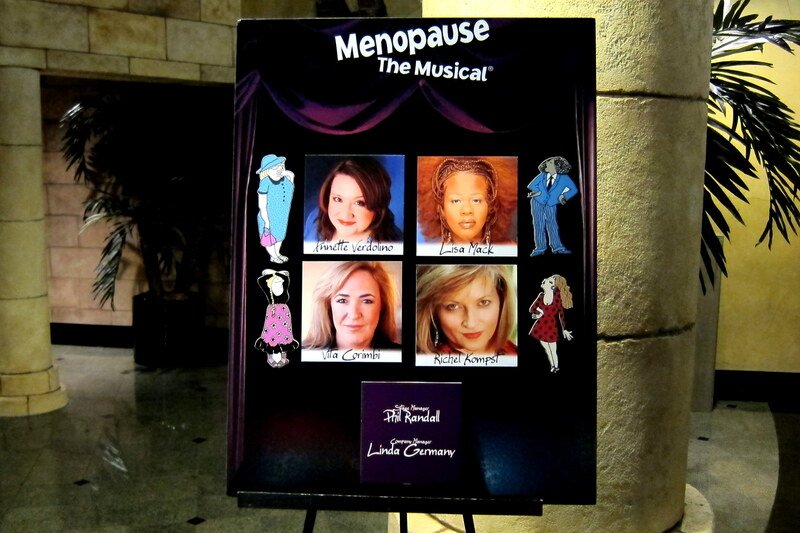 Kit wanted to go out for dinner and to see the long running musical “Menopause”. Since it was her birthday, I gallantly agreed to sit alongside her and an audience full of menopausal women who, by the way, just kept glaring at me. It turned out that the show was quite good and very funny! There was dancing and singing and laughter…..kinda like the real thing, um…..or so I’m told. 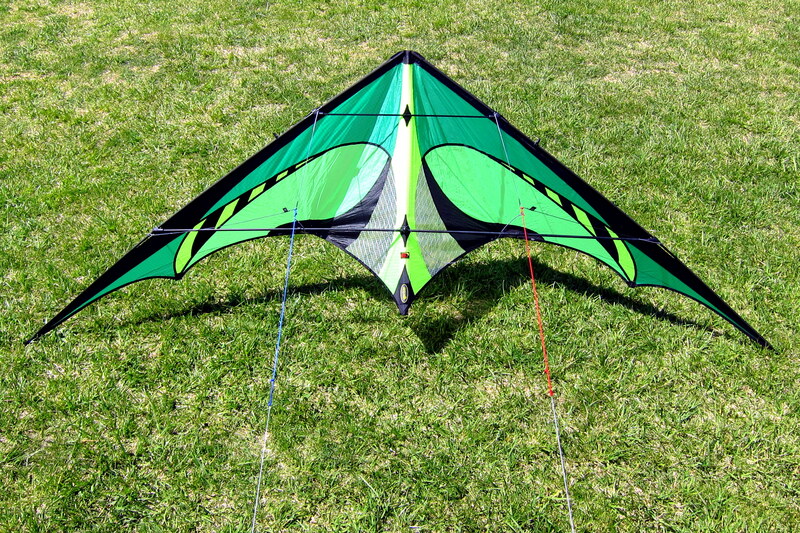 For my birthday gift, I wanted to get another kite…..so I did. Yea, I know, why does any sane person need three kites? Well a sane person doesn’t. Kite flying is an addictive sport and most flyers have a quiver full of a variety of sport kites…..I’m just beginning my collection. And, before you ask…..yes, they are all different. 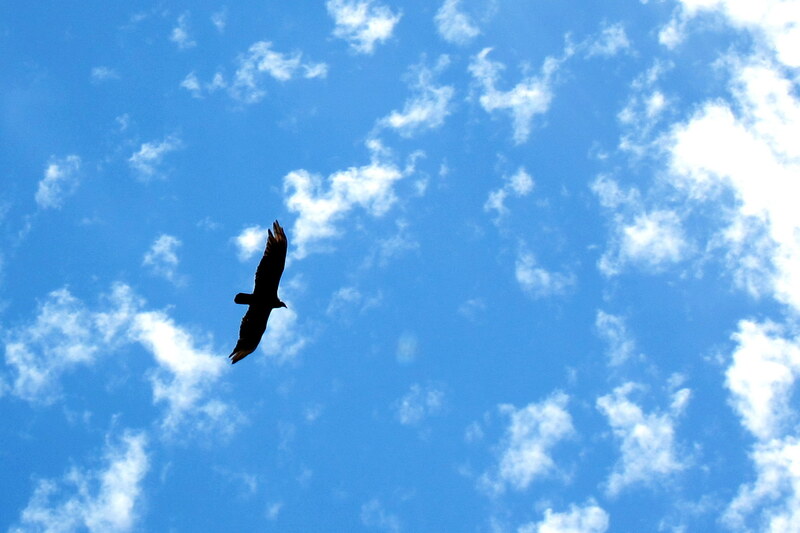 They are designed for different wind conditions and will accomplish different maneuvers. This is also the place where we reluctantly said good bye to Marvelous Monkey. 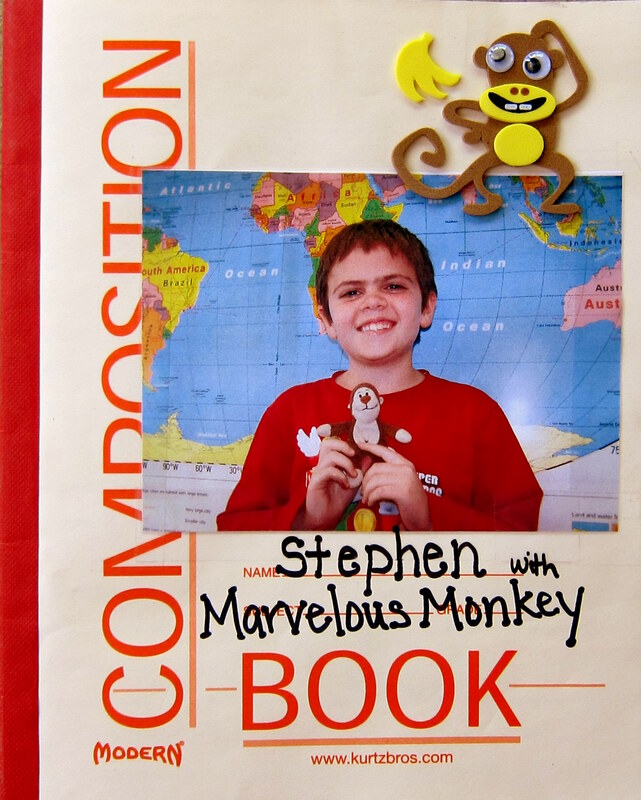 We had to send our dear friend back to Pennsylvania so Stephen could finish his geography assignment. Sea shells from Padre Island National Seashore. The “bones” from an Arizona Cholla Cactus. The “baby” from a New Orleans King Cake. New Orleans Mardi Gras beads. Bleached sea creature bones found on a California beach. A shell from the Rio Grande River. A sharks tooth from California. Pine cones from San Diego. Souvenirs from the USAF thunderbirds. Brochures from Big Bend and Mojave National Park’s. Red and Green Tabasco samples from Avery Island, Louisiana. Picture post cards from all over. And a replica of Marvelous Monkeys new friend Mr. Bill. All in all a pretty good haul! (Yea, I know it rhymes…..no, I didn’t plan it that way). Now, you didn’t think I would close this Las Vegas Journal out without a few more pictures of Jack and Tucker, did you? 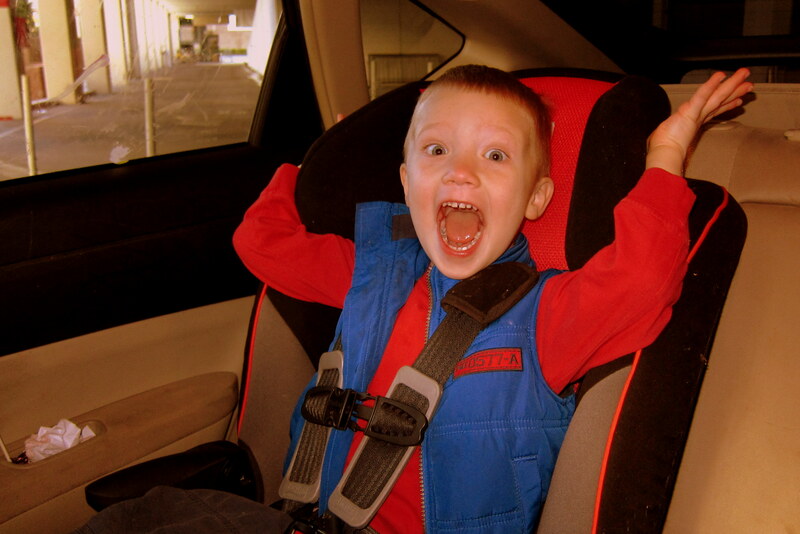 Here is a picture of Tucker when he realized that he had Guma and Poppy all to himself for a few hours. 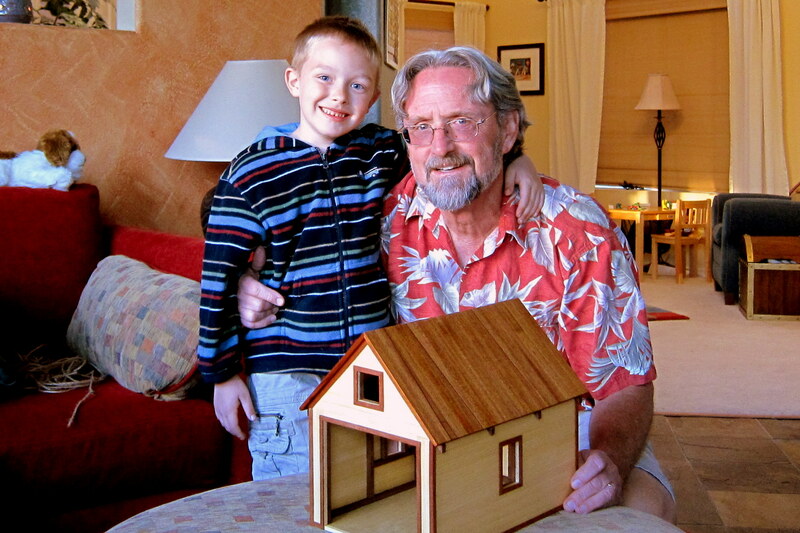 Being a woodworker I have a tradition of making the grandkids something in my shop for Christmas each year. The Maine kids receive theirs much closer to the holidays but the Las Vegas duo has to wait until we meander their way. This year I made Jack a garage to house the toy car I made him last year. And for Tucker, I made a step stool so he can climb up on the countertops much easier. But their favorite gift was having Guma’s lap to cuddle up on while she told them old tales from the last century. …..we love you and will miss you. Kit’s Eight Cents Worth: We spent a good amount of time in Las Vegas this time. It was nice to be able to see Jack & Tucker every few days, as if we actually camped nearby. We are now trying to figure out how to bring them to Maine each summer for a week or two. Reluctantly, we moved on and headed to Zion National Park. Journal #17 Always good to see what the Tucker’s are up too. Maine is becoming very boring without you in it! Vicky is in Virginia for a couple weeks. My camp beckons me northward this coming weekend. Should bring my yak but it’s too difficult to flyfish from. (Plus my canoe is already loaded onto the truck.) See you both soon. So hard to leave the grandchildren. We spent yesterday with Elise after not seeing her since Oct. She has changed so much …and matured!! Aren’t grandkids wonderful? 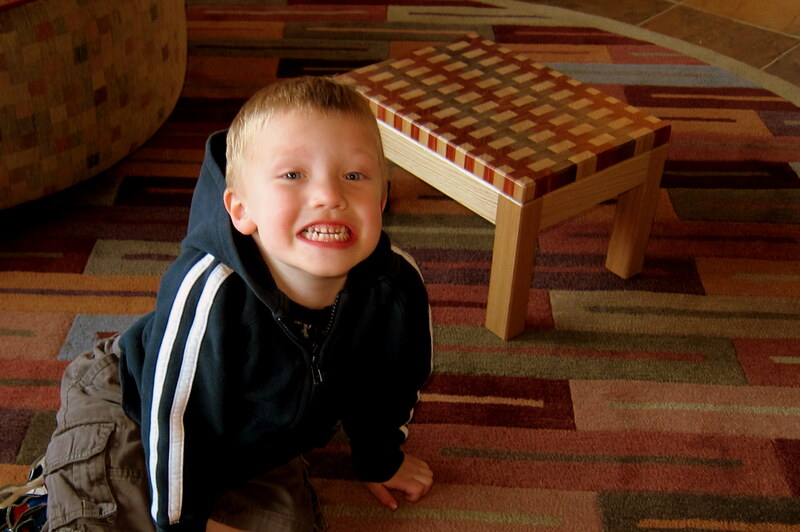 Grand kids are wonderful. 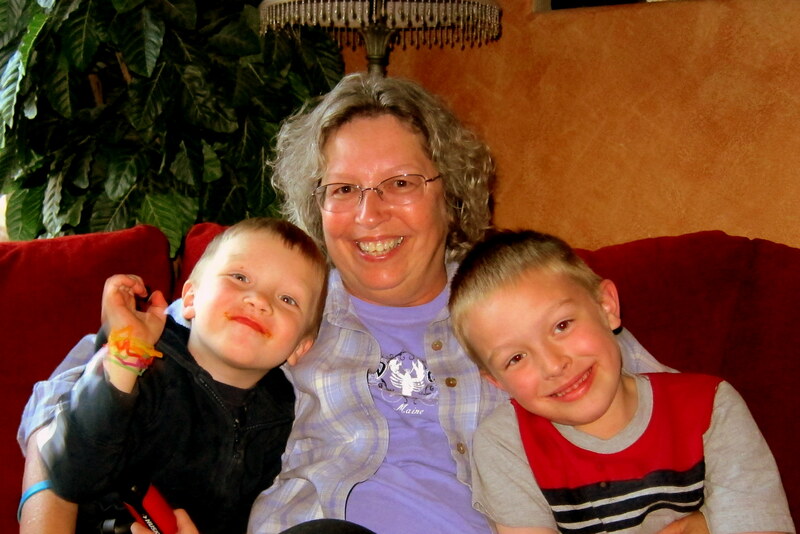 As the old saying goes; If I had known grandchildren were going to be so much fun…..I would have had them first! WOW……………….this was great. I want to go with you guys next time!!! I loved your BLOG! The pics were awesome! What treasured memories you have. Jack and Tucker have grown so much. 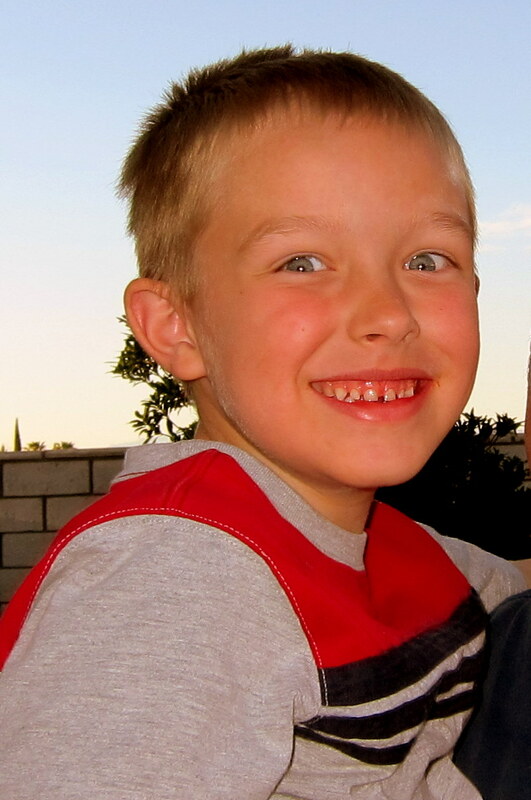 Where has the time gone?!? Looking forward to seeing you Brunswick way. 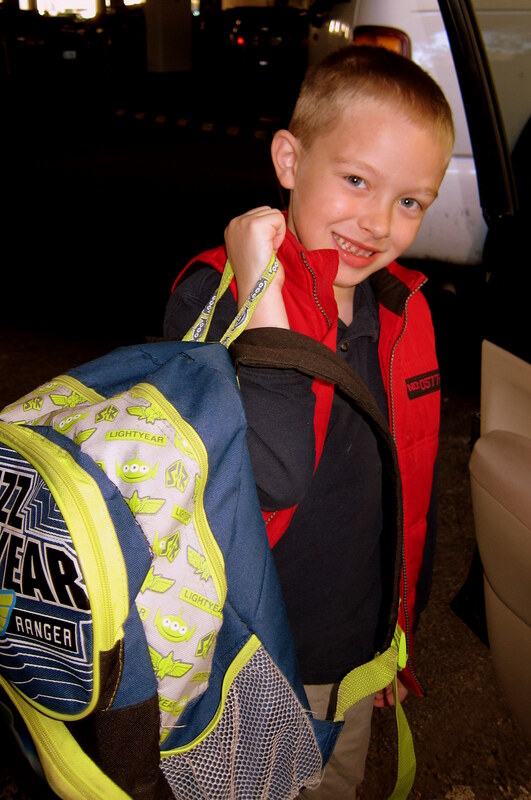 HAPPY TRAILS TO YOU….I CAN HEAR YOU SINGING!!!!!!!! Aloha! 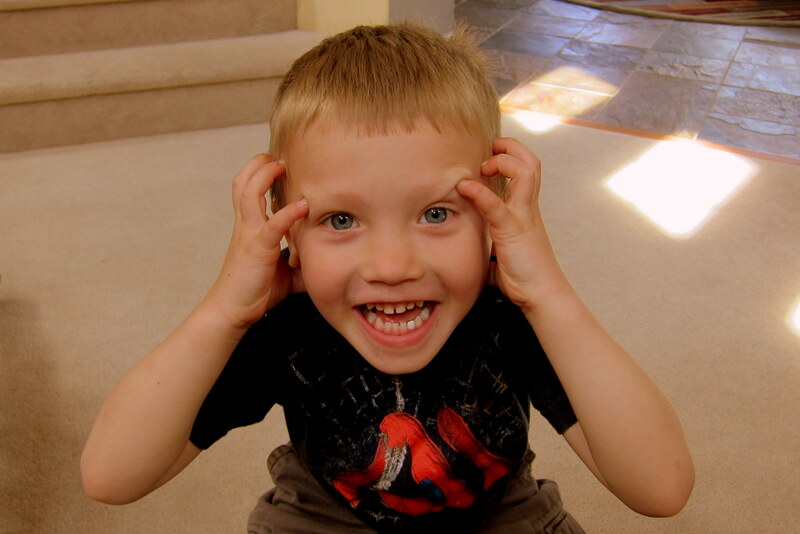 Taking care of an active 7-year old, a hyper-active Pug, and a vocal cat is challenging at our stage of life! The kids seem to be enjoying the Thailand resort—–at least Lee is because Terry is working. She tries to call Kylee daily, not easy when you are a day ahead and 7 hours behind HI time!! Great photos, as always. Grandchildren are so fun, aren’t they? Bill——Don has been out surfing with the next door neighbor almost on a daily basis. Thanks for the nice comment on the grandkid photos. They really are a lot of fun! Nice that Don is getting in the water regularly. He’ll have to get a board, and wetsuit, when he returns to Maine. I could use a surfing partner. Man oh man! We are so proud of you two as you are taking a really good look at every area you travel through on your #17 journey! I sure hope this rubs off on John Roger! Dear Bill and Kit, We are nearing the end of our Florida adventure. We have been here since March 1st and have thoroughly enjoyed our stay The weather has been boringly warm and clear. We have been able to visit with many family members and friends and have enjoyed many opportunities to square dance, mainly to Red Bates. We have read your narratives with interest and envy, particularly enjoying the great photos. When we were at Hoover Dam a few years ago, we were very upset to learn that 95% of the lights of Vegas draw their electricity from coal burning plants in Utah! This was due to an agreement signed long before the Vegas boom. We are heading north May 4th and plan to attend the May 14th dance. Perhaps we’ll see you there. Thanks for the comment and kind words. We are in Minnesota for a few days then will head into Canada to slowly meander home. Plan on being back in Maine by Memorial day. We usually try to chase spring north…..however, this year I think we overtook it! The morning temp today was 36 degrees…..yikes! Hope to see you at one of the June dances.